Selecting a title from the topic list will always take you to your last read post in the topic. To enter at the top ↑ or bottom ↓ instead, select the reply count or last reply date. Topics above the light red line are new or updated since your last visit. If you have read all the way to the end of a topic, its title will be light grey instead of black. For search, the menu, or your user page, use the icon buttons at the upper right . While reading a topic, use the timeline on the right side to jump to the top, bottom, or your last read position. On smaller screens, select the bottom progress bar to expand it. Press any Reply button to open the editor panel at the bottom of your browser. Continue reading (and even navigate to different topics) while you compose your reply; minimize the editor for more room. Drafts will automatically be saved as you write. To insert a quote, select the text you wish to quote, then press the Quote button that pops up. Repeat for multiple quotes. To notify someone about your reply, mention their name. Type @ to begin selecting a username. To generate a summary for a link, paste it on a line by itself. To start a topic with a link, paste the link into the title field. For more formatting tips, try our 10 minute tutorial. To let someone know that you enjoyed and appreciated their post, use the like button. Share the love! Grab a copy-pasteable link to any reply or topic via the link button. Use the … button to reveal more actions. Flag to privately let the author, or the site staff, know about a problem. Bookmark to find this post later on your profile page. When someone is talking directly to you — by replying to you, quoting your post, mentioning your @username , or even linking to your post, a number will immediately appear over your profile picture at the top right. Select it to access your notifications . 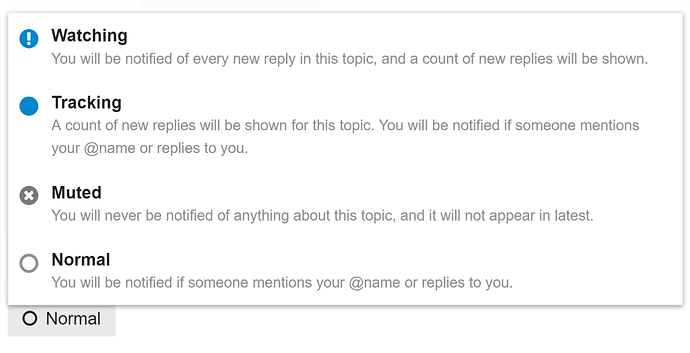 Don’t worry about missing a reply – you’ll be emailed any notifications that arrive when you are away. All topics less than two days old are considered new, and will show a new indicator. 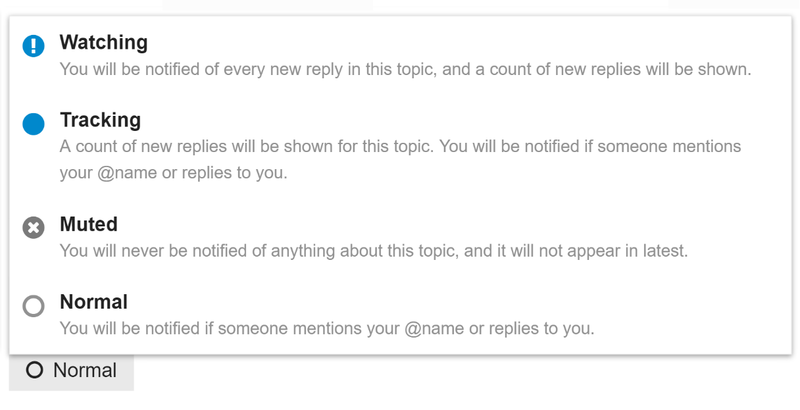 Any topic you’ve actively participated in — by creating it, replying to it, or reading it for an extended period — will be automatically tracked on your behalf, and will show an unread post count indicator. To change any of these defaults, including the choice of a dark theme , visit your user preferences or the “hamburger” menu. Feel free to contribute with your own findings.